IAM chief executive Simon Best said: “With the number of drivers over the age of 80 now over one million, a strategy for this area is essential." 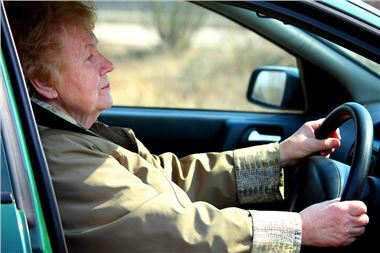 A national strategy for an ageing car-driving population is vital, a report by a Whitehall advisory body has said. The number of older motorists holding driving licences has risen considerably in recent years, the report from the Parliamentary Advisory Council for Transport Safety (PACTS) said. But it added that reductions in the number of people killed or seriously injured on the roads have fallen far more slowly among older drivers. The report said that while only 15% of over-70s held a driving licence in 1975, the figure for 2010 was nearly 60%. Also, 80% of current 60-69 year olds hold licences and will continue to drive for around the next 20 years. More than 80% of 30-39 year olds are licence holders and will drive until at least 2050. Pacts said: "The report therefore concludes that older road users are here to stay and that a national strategy for an ageing population is vital." The report also pointed out that pedestrian deaths and serious injuries among all ages had fallen 41% between 2000 and 2010, but the fall for 60 to 69-year-old pedestrians was 37%, for 70-79 year olds it was 40% and for those 80 or over it was 33%. The car-occupant death and serious injury reduction for all ages between 2000 and 2010 was 54%. But the fall for 60-69 year old car occupants was only 44%, with the decline for 70-79 year olds being 43% and for those aged 80 or over it was only 16%. The report also drew the distinction between road users who were at risk and who posed a risk to others. Older road users tended to be in the former group, it said. The report added that it was therefore essential that planning decisions were "health-checked" for older people and that the medical profession was more effective in giving advice on both physical and mental fitness to drive. PACTS executive director Robert Gifford said: "Over the next decade the balance of the population in this country will change. Older people need to be kept mobile and safe. I hope that this report will generate a national discussion about the state of our pavements and the relevance of self-regulation when it comes to giving up your driving licence. We need to move beyond seeing older people as a problem to viewing them as contributing to a mixed society."